The very best of SE design, all in one small box! Reflection of our arcylic faceplate. What are the runways on the left section? They are the input signal of each sources (3 sets of inputs via our Pink-Lingu), why do the double work in cutting the wires and triple the time in soldering? instead of having the wiring fly direct to the selector? Of course there is a reason, to conceal the weak signal input path inside the PCB to maximize the S/N Ratio, which means quietest signal transfer will be rewarded. 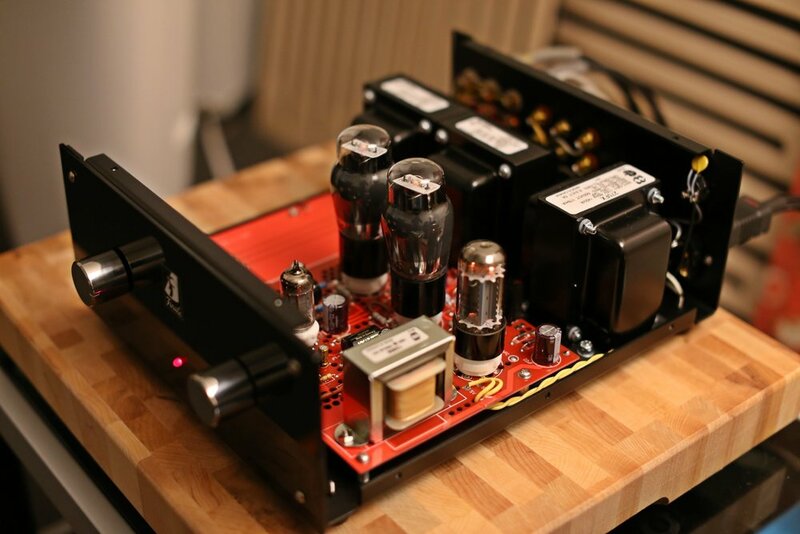 Perhaps the best Class A 4 Watts, thanks to this regulator stage for precise and consistent of regulated power supplies. A input choke is used, higher cost to us... but this will quiet down even further! and we meant to make the best or nothing! 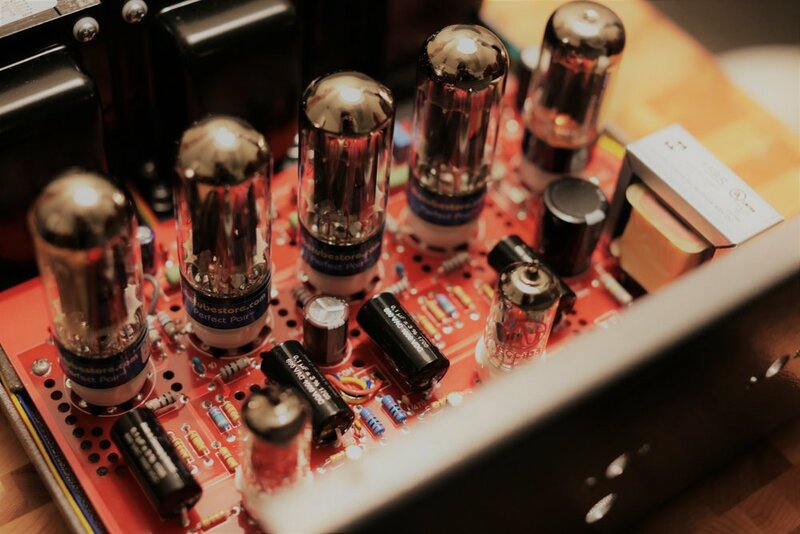 The front end is handled by the most powerful preamp tube - 12AX7, can another tube do this duty? Perhaps not. It will replace the F-108, with even bigger sound-stage & meat, lower and greater bass and bottom, even more tubey and dreamy. Moreover, this is a NO NFB design, and in audiophile preferred SINGLE ENDED mode! 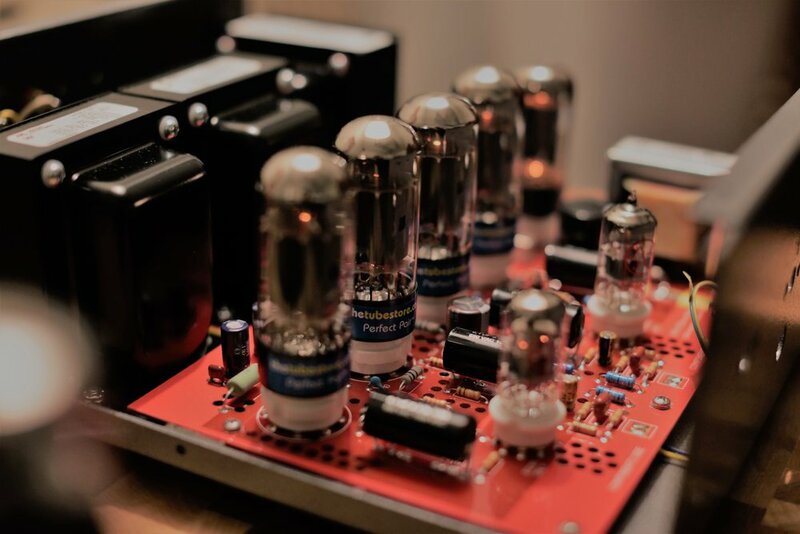 All the good measurements and performance were possible only, thanks to our high quality real audio grade output transformers, designed by Triode Lab Ltd, and engineered by Hammonds Canada. This is a true HIGH-END, SINGLE-ENDED design! 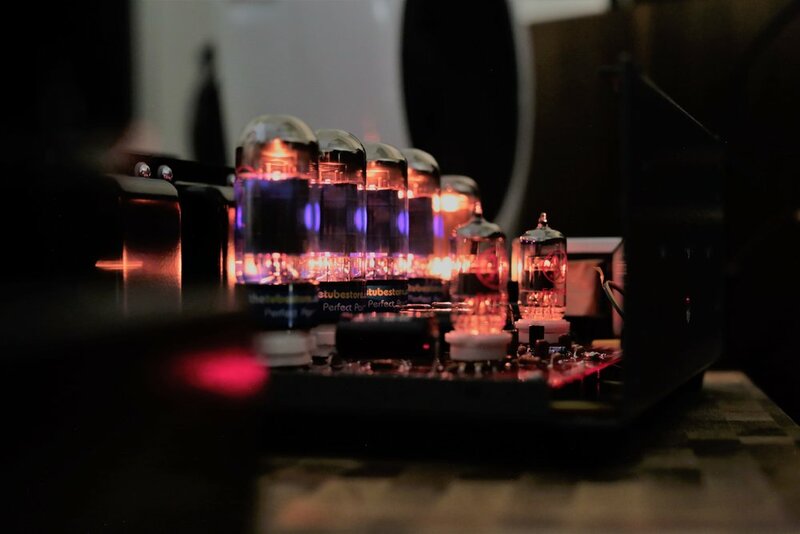 The amplifier is rectified by tube (many purist prefer its sound), and the power supply is regulated, which is normally only found in highest end expensive Class A amps. This ensures each tube/time sees a very exact 6.3V for optimal output and operation at all times, with less fluctuations, it also enhances the lifespan of each tube. The result - this amp is absolutely silent through our horn speakers in the showroom... as it should, thanks to our top notch design, which is easily the best in the industry for the last few decades. 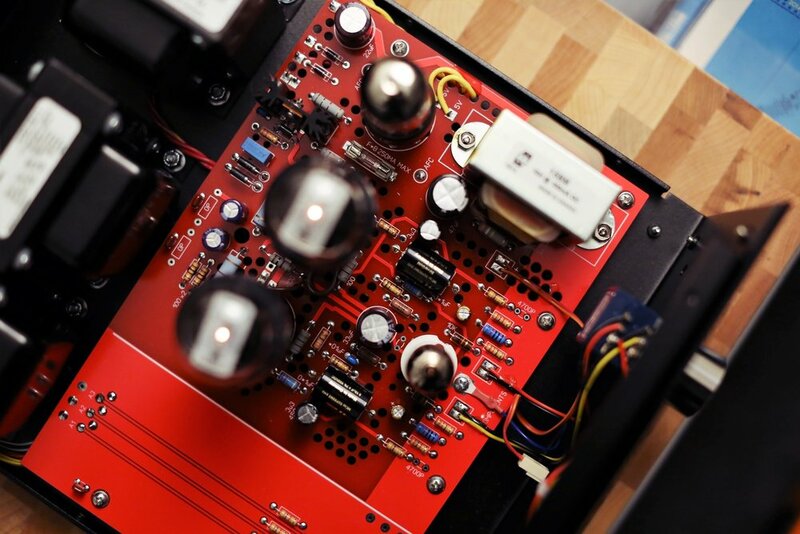 Most of all, the entire amplifier is Canadian, from Design, Transformers, to Build. 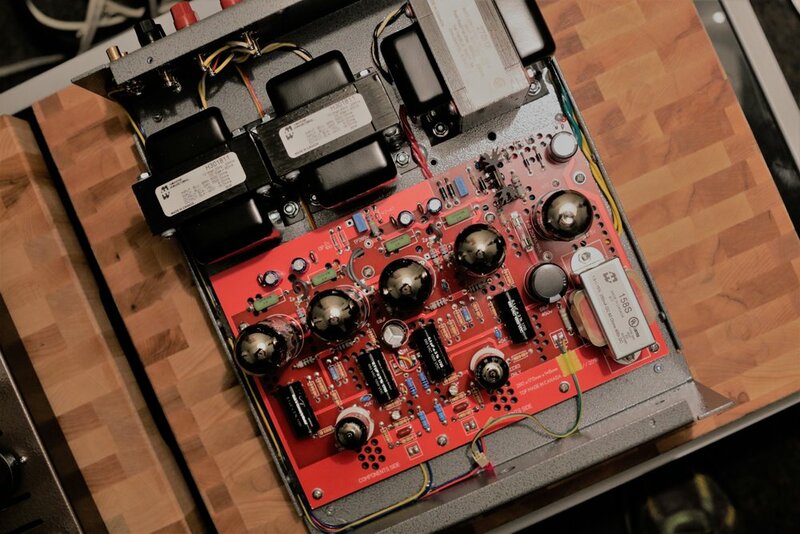 It was never intended to be an entry-level amp, but the best one in its class, with real HiFi ingredients and philosophy. It is perfect for high-eff speakers, especially those with forward sounding highs, or speakers that lack bass/impact/weight, not to mention, large diameter full range speakers, including dual concentric designs! At this point, we are still thinking of a name for it...maybe you can help? It sounds just like what 6V6 should, and all our feelings of nostalgia are back, the good old tube sound! Features: 3 Inputs via Finale's Pink Lingu RCAs, Alps Japan Blue Vol Pot, Lorlin UK Selector, Mundorf Coupling Caps, Furutech Gold AC Inlet...etc. Features: Finale's Pink Lingu RCAs, Hammonds Choke / Power Transformers, Mundorf Coupling Caps, Furutech Gold AC Inlet...etc. Features: Finale's Pink Lingu RCAs, Hammonds Transformers spec for 6V6s, Mundorf Silver Oil Coupling Caps, Furutech Gold AC Inlet. QQQ Japan Rectifier Tube Socket, CMC USA Gold Binding Posts, ALPS Japan Vol Pot, LORLIN UK Selector Switch ...etc. FFX Package available - 40W HASHIMOTO Sized Flagship Grade 10K Output Transformers / HASHIMOTO CHOKE / HASHIMOTO POWER Transformer , FURUTECH CARBON FIBRE BINDING POSTS , FURUTECH RHODIUM AC INLET / DACT SELECTOR SWITCH, Branded under TRIODE LAB.